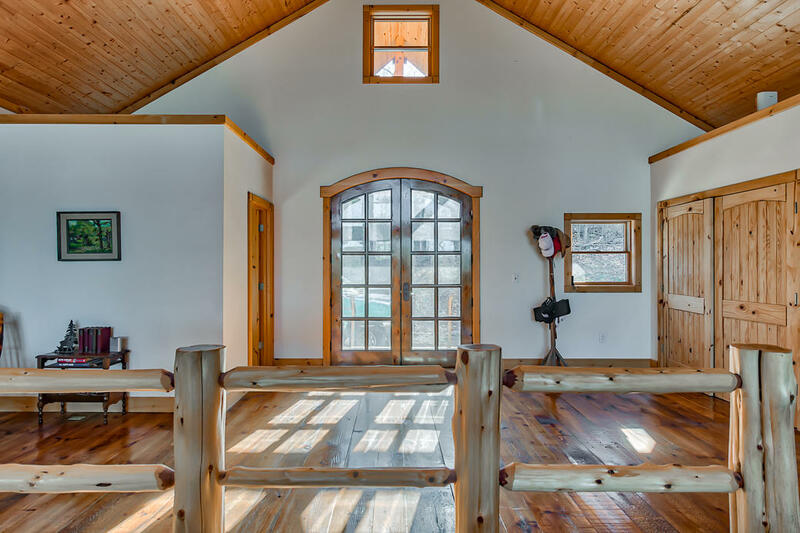 From the custom gated entrance - to the stately meandering drives, you will be hard-pressed to not be in awe of this rustic gem. 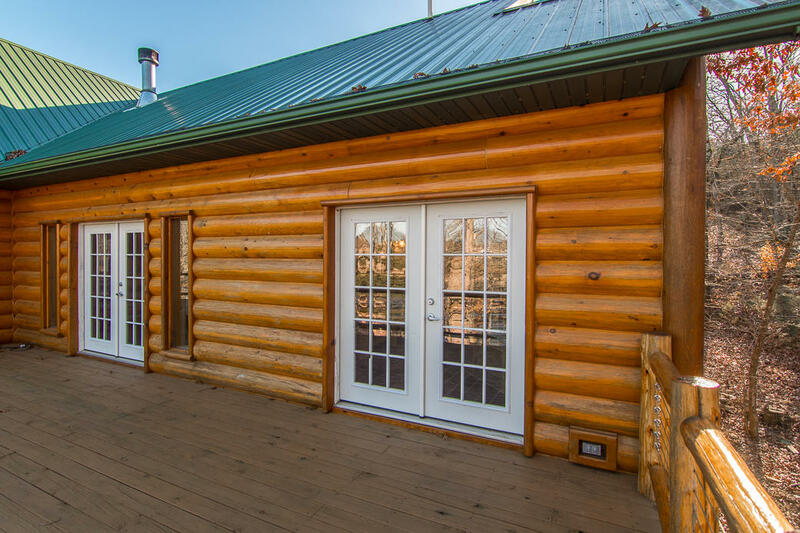 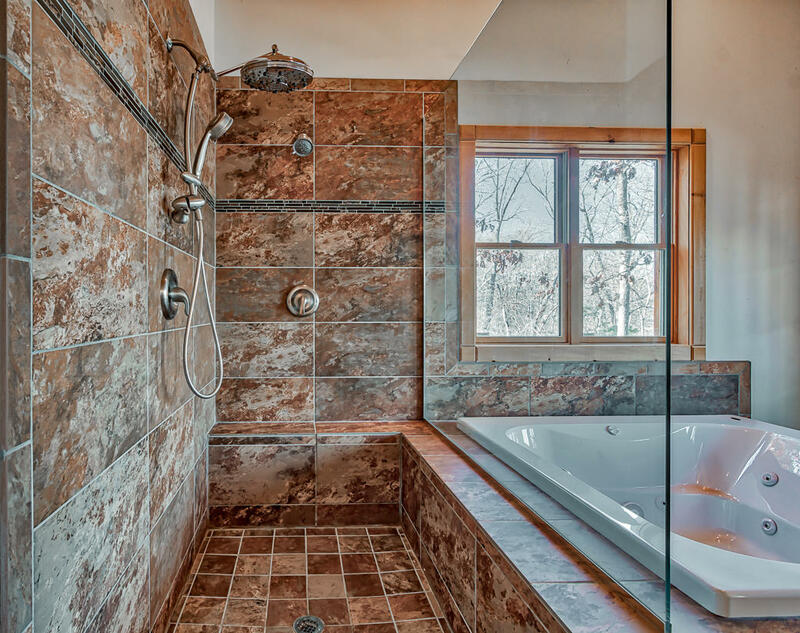 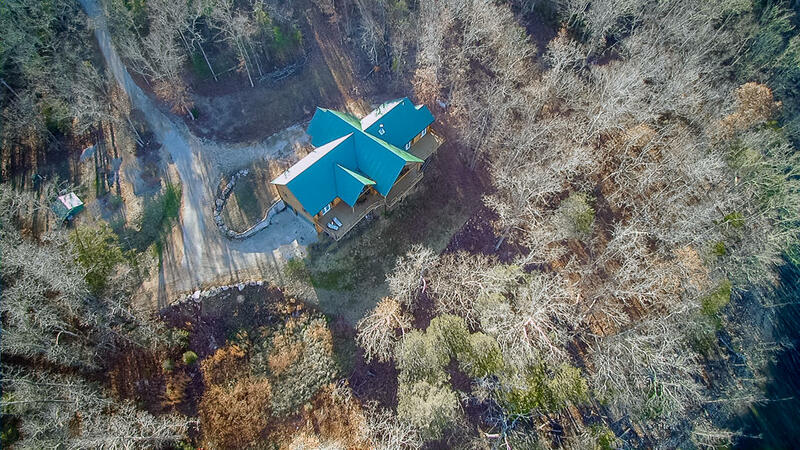 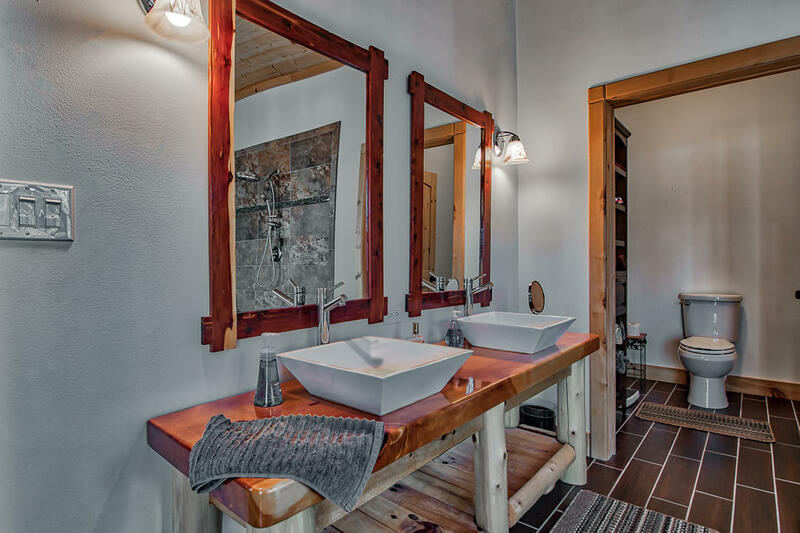 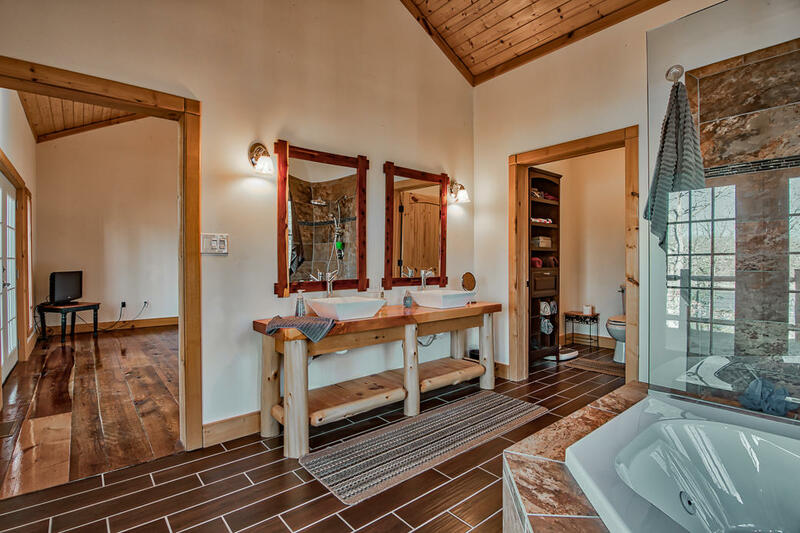 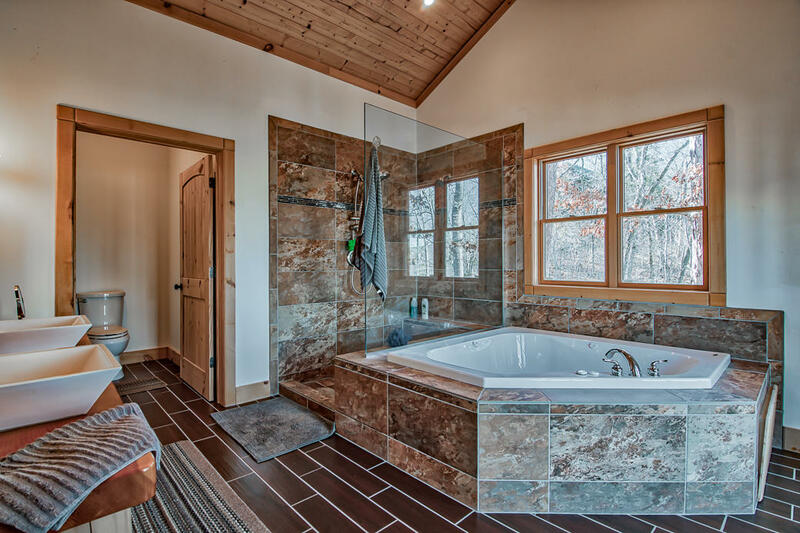 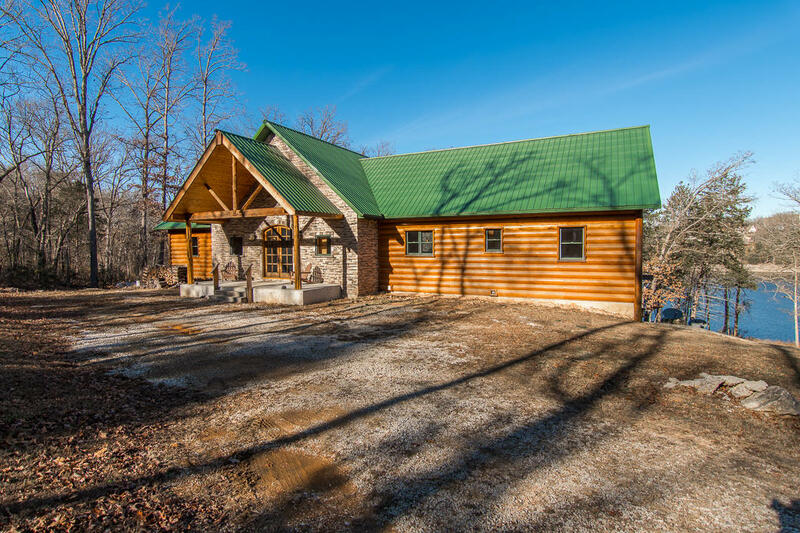 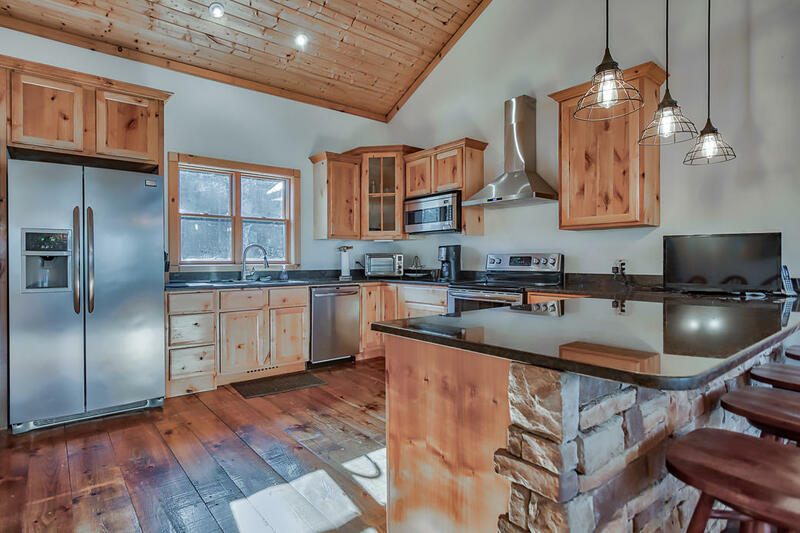 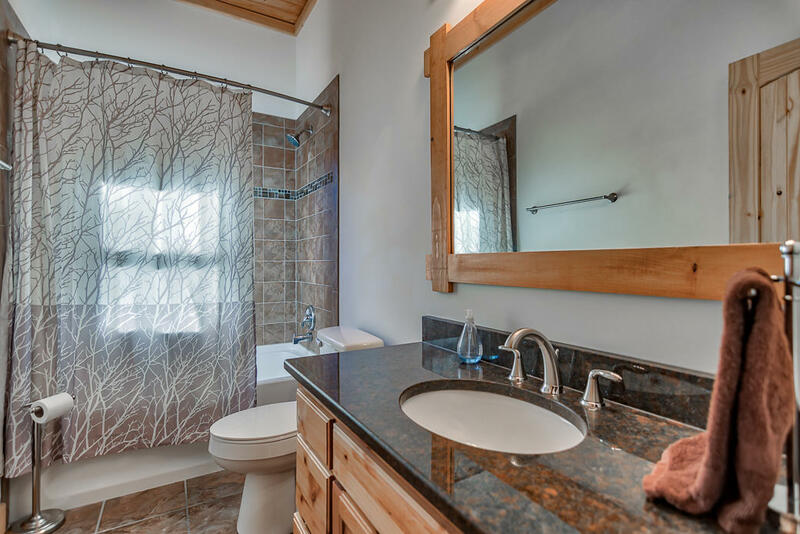 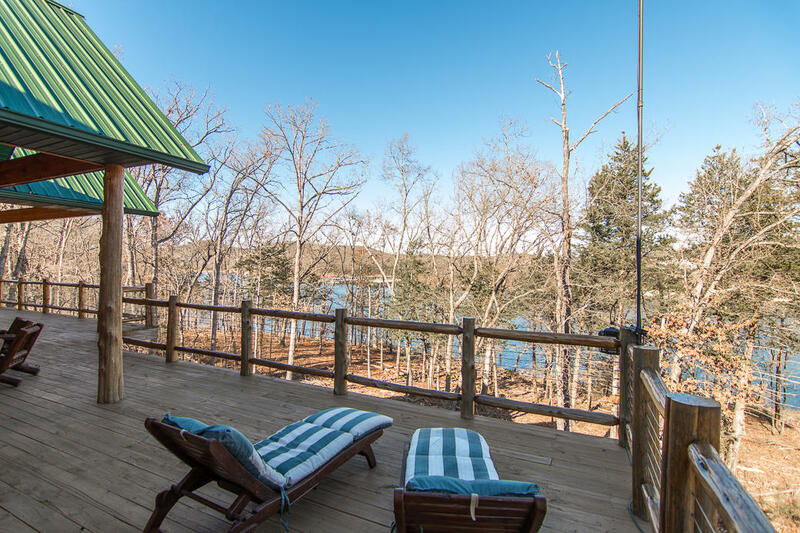 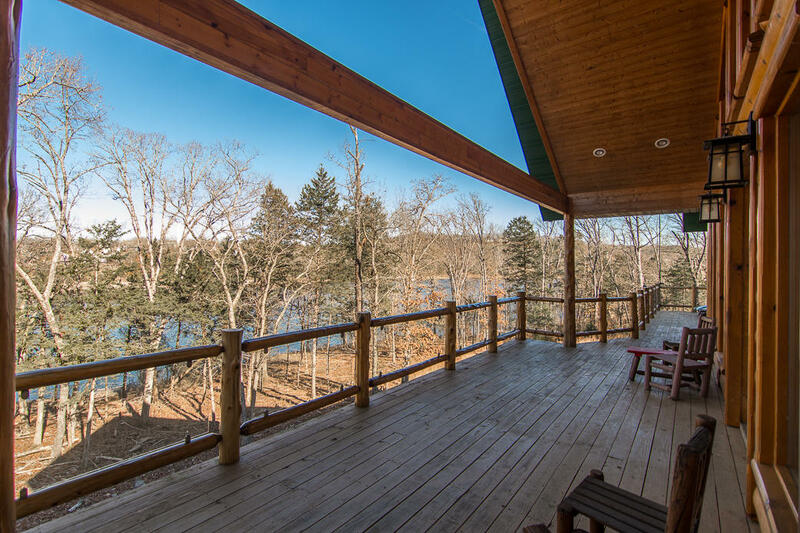 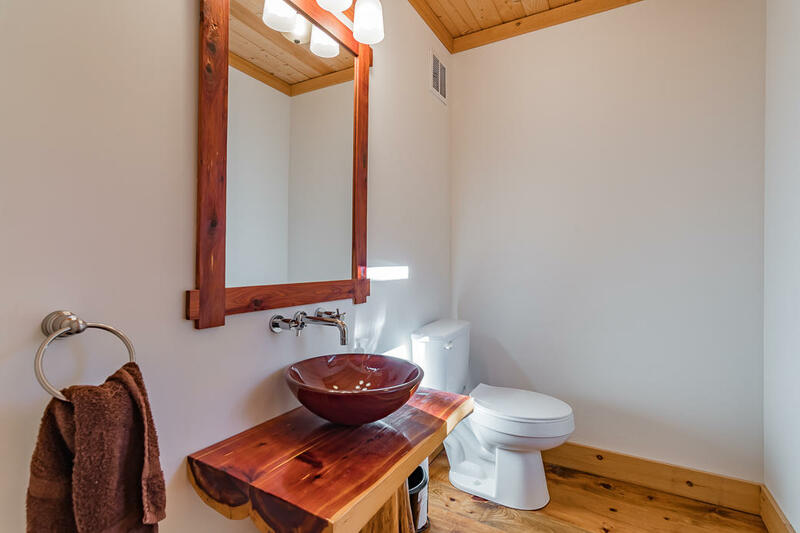 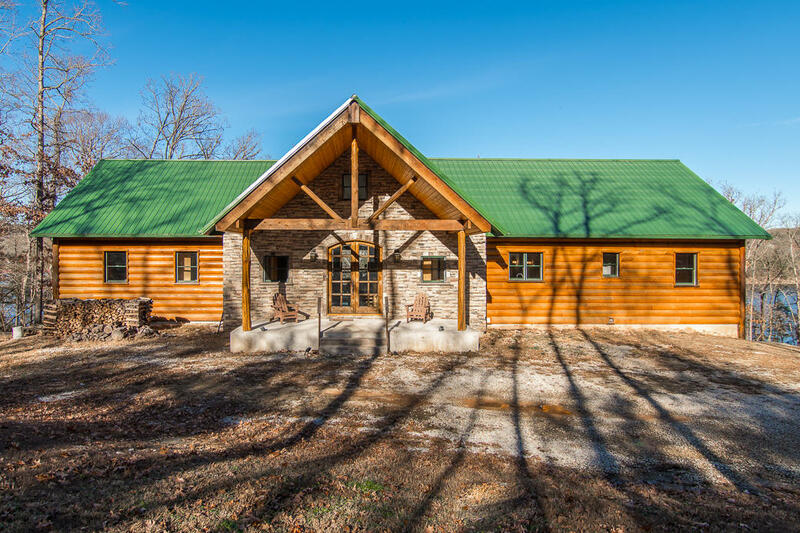 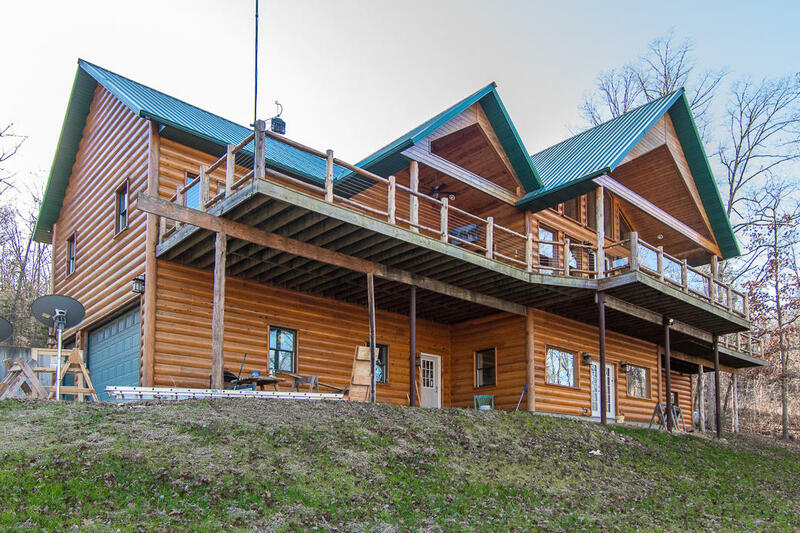 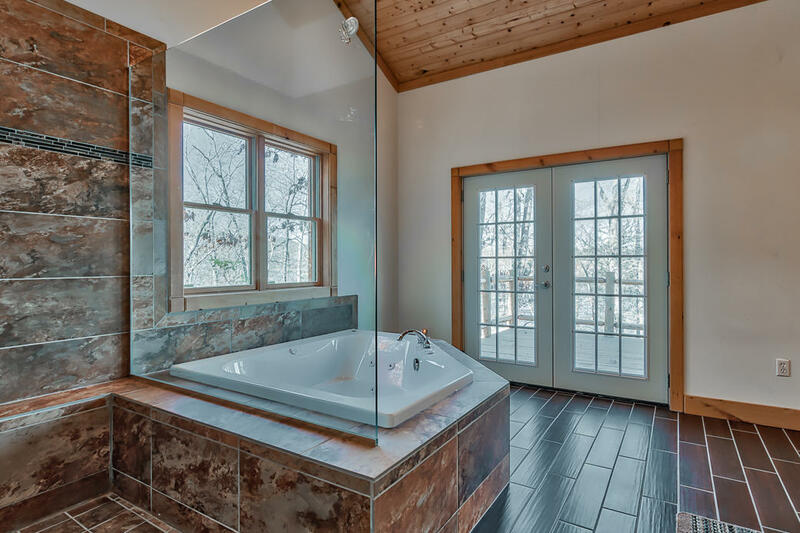 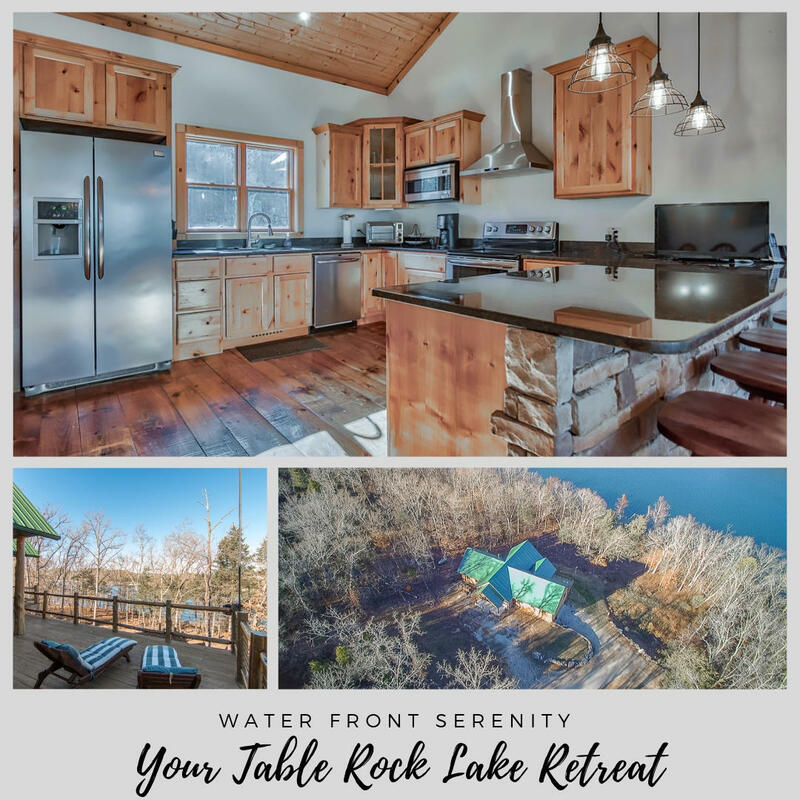 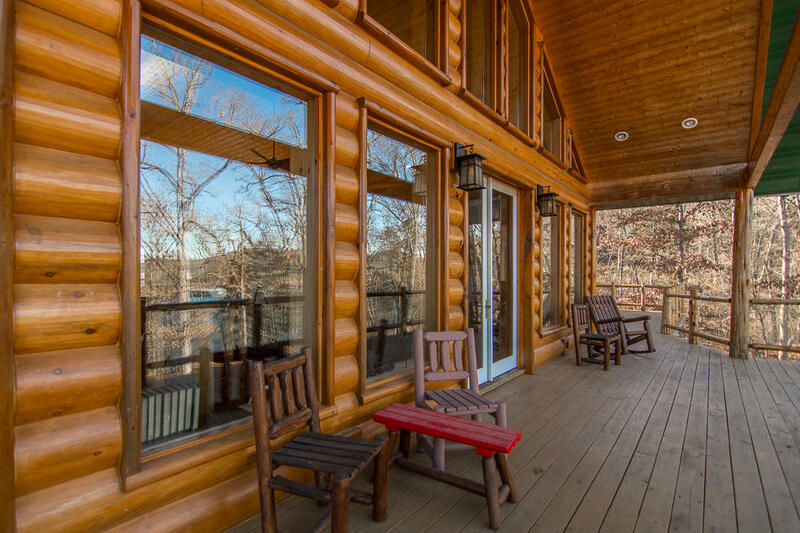 The cabin is nestled in 10+ acres of water front serenity and privacy. 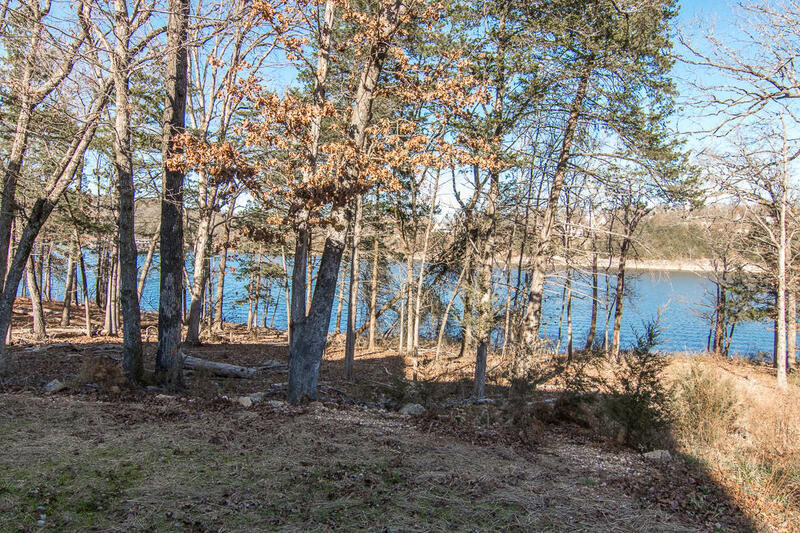 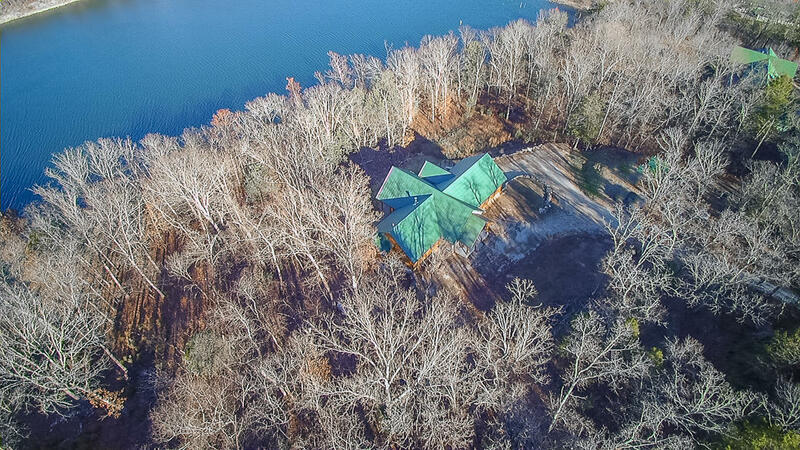 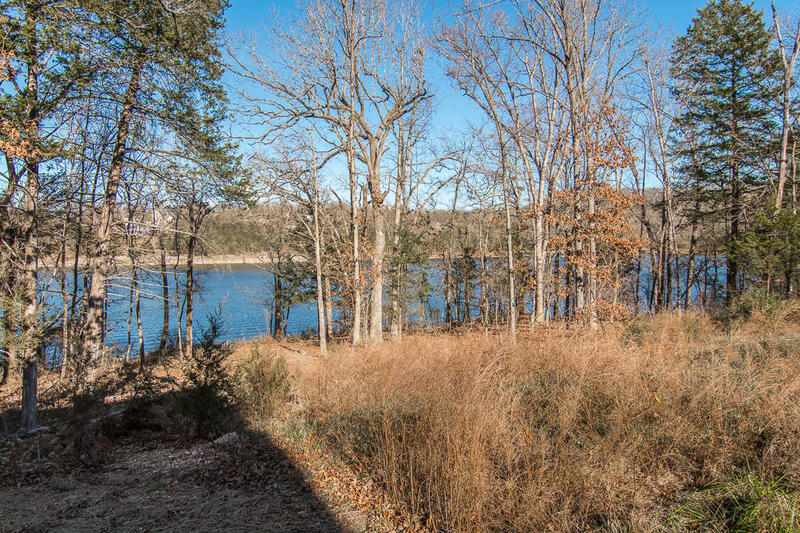 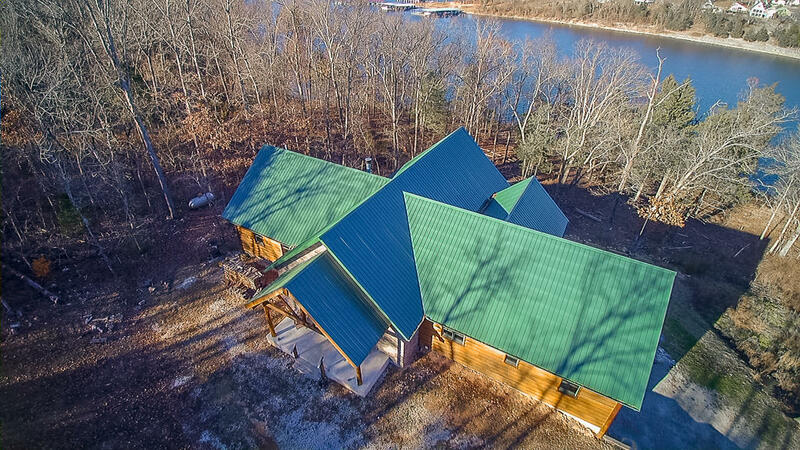 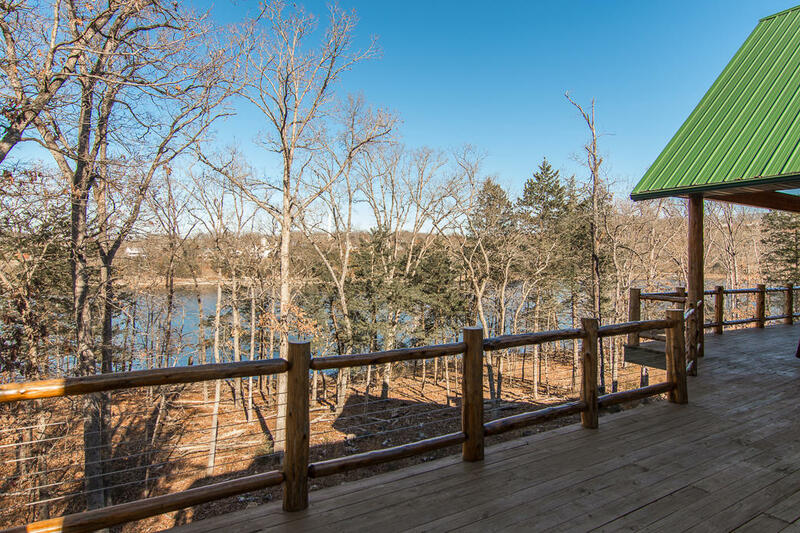 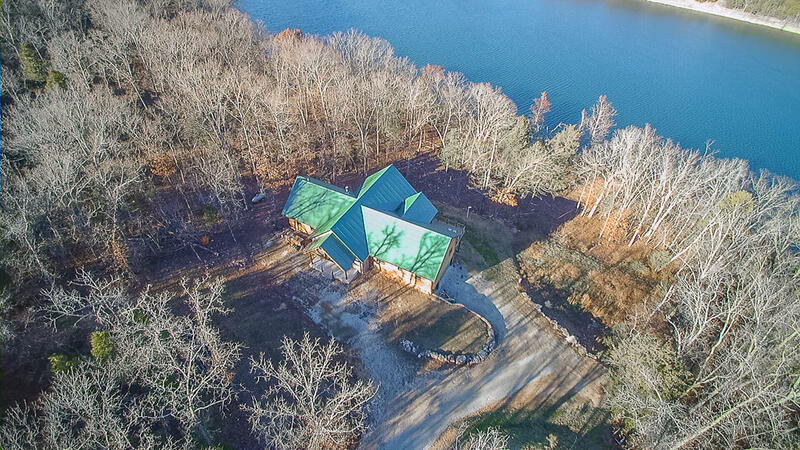 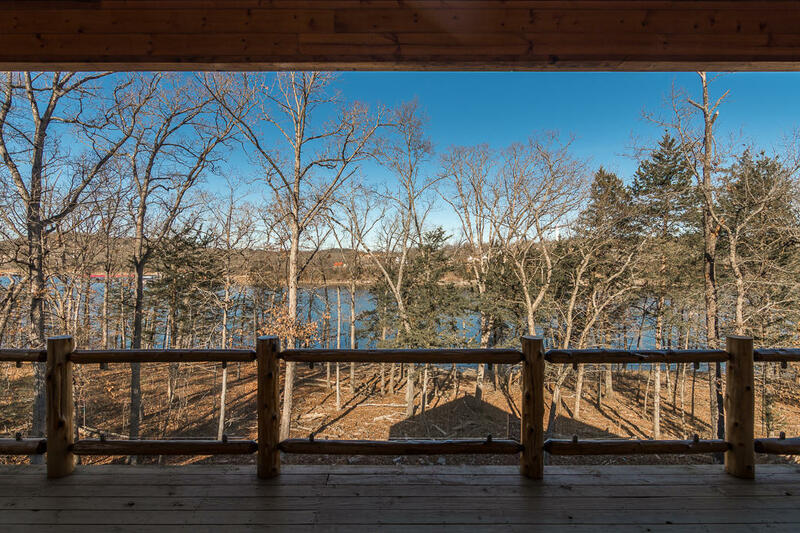 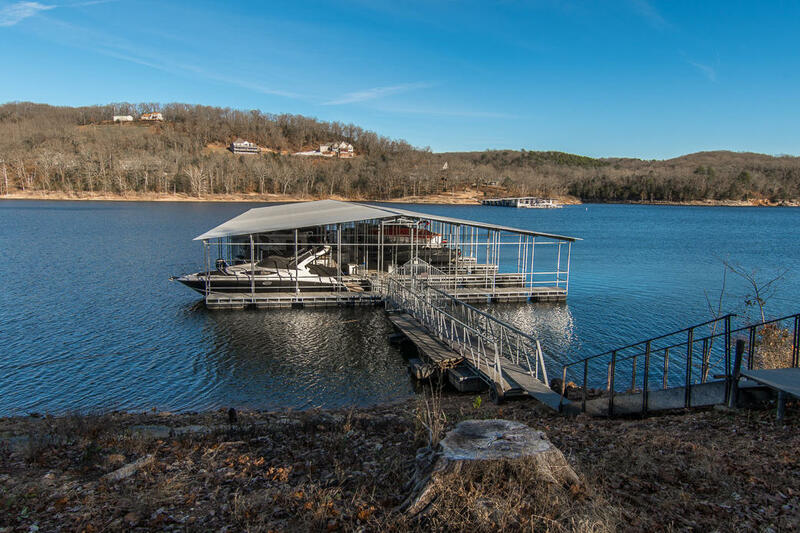 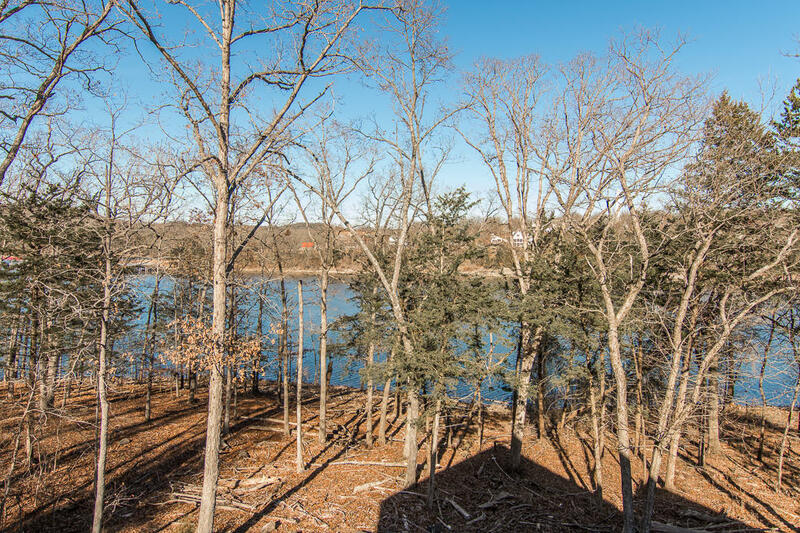 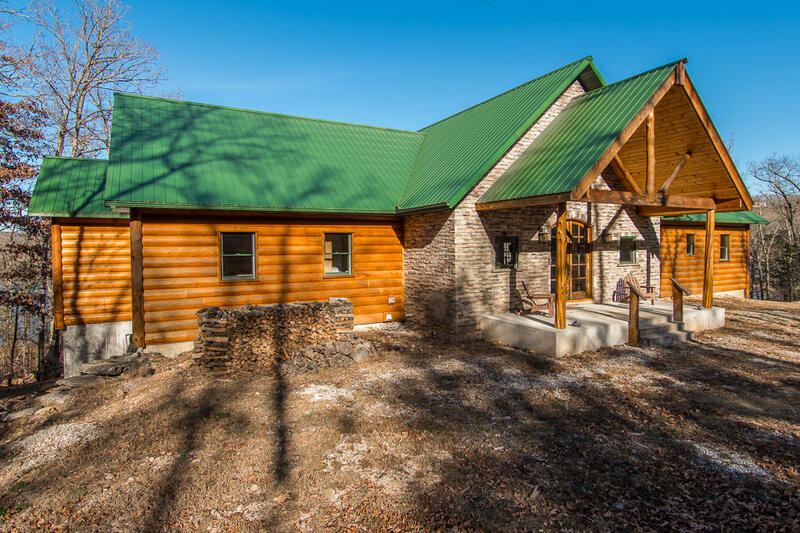 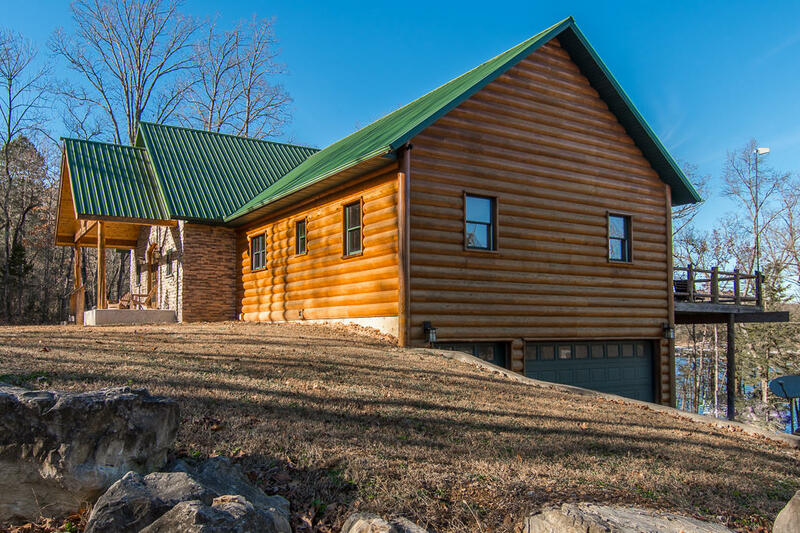 350+ feet of Table Rock Lake shoreline and a very gentle walk to the water. 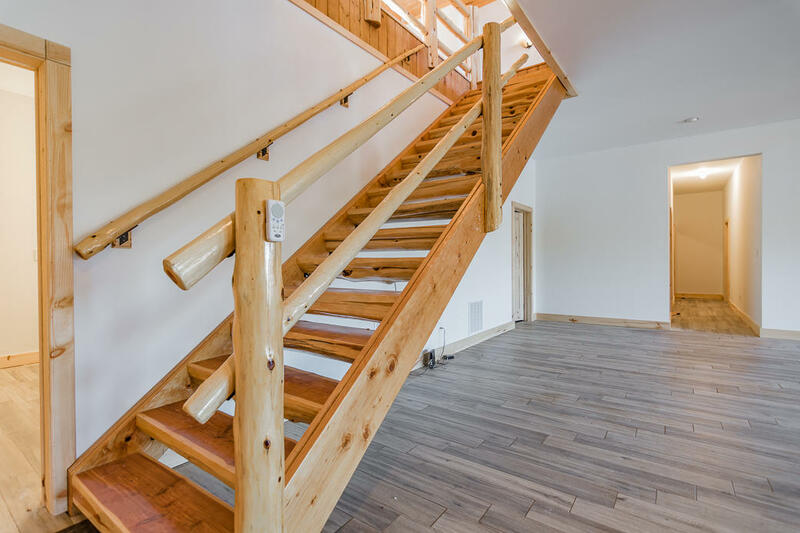 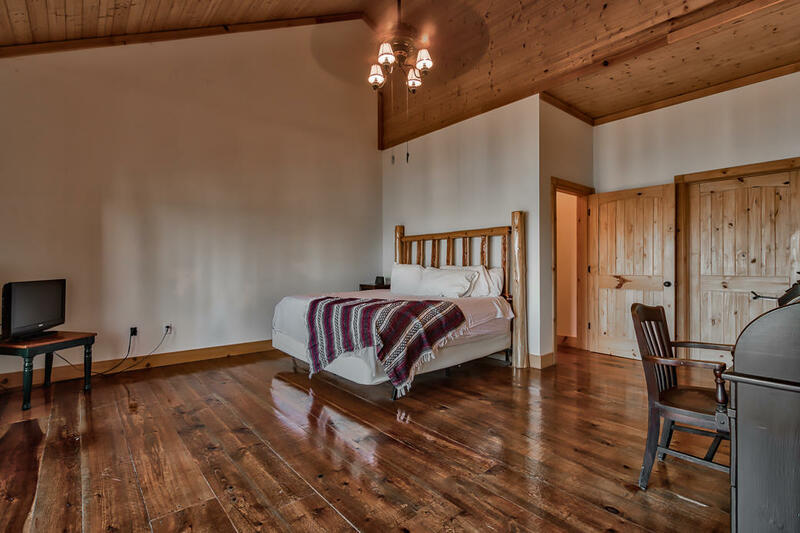 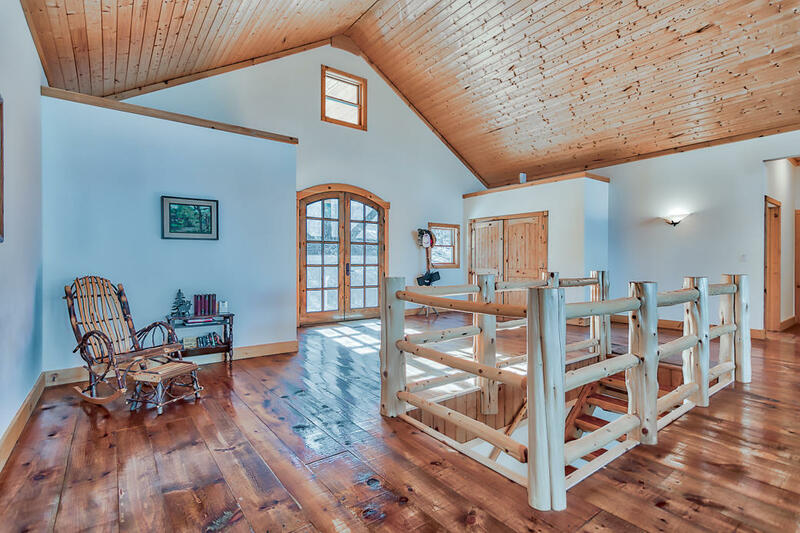 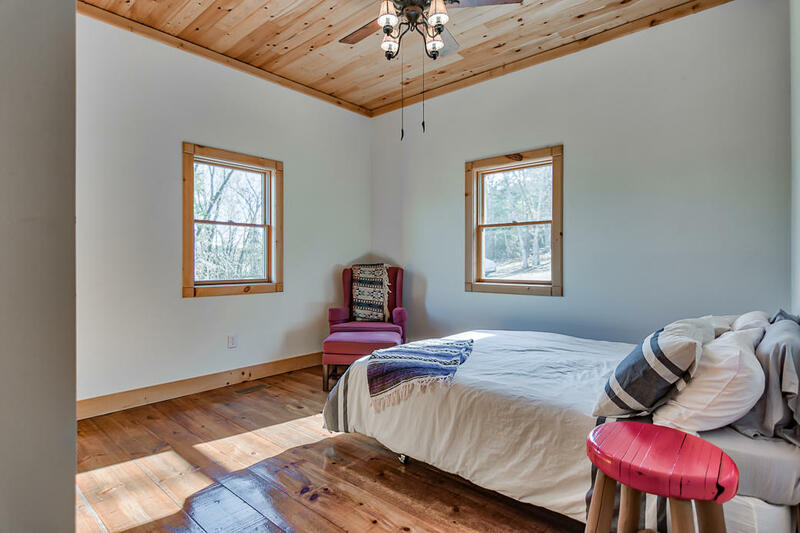 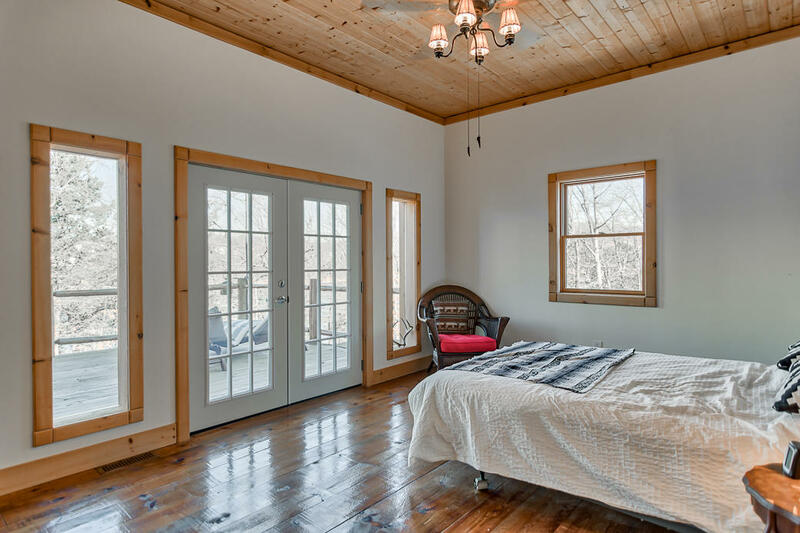 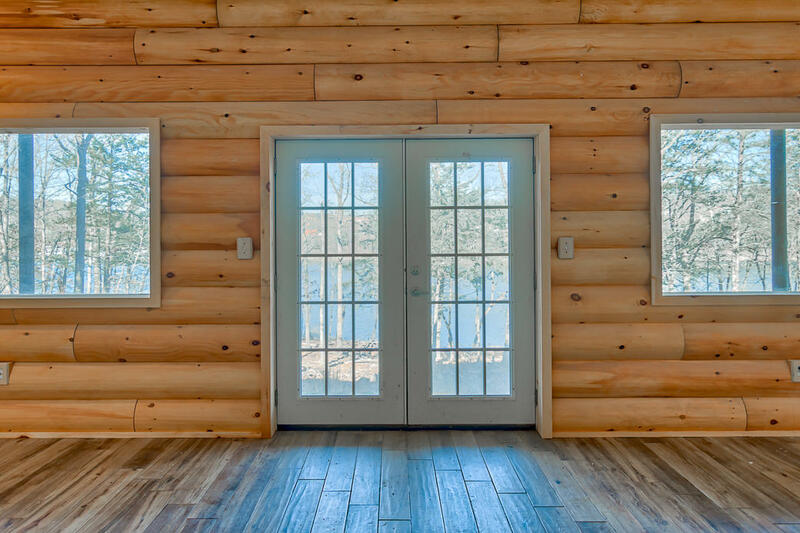 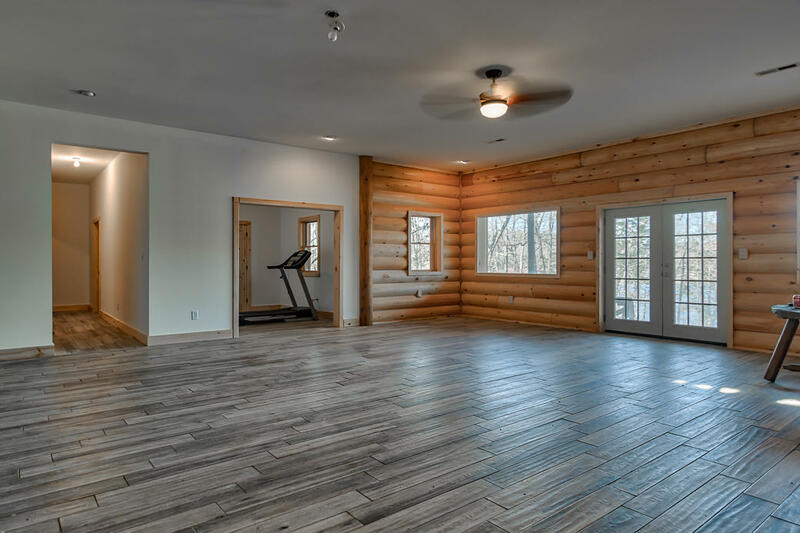 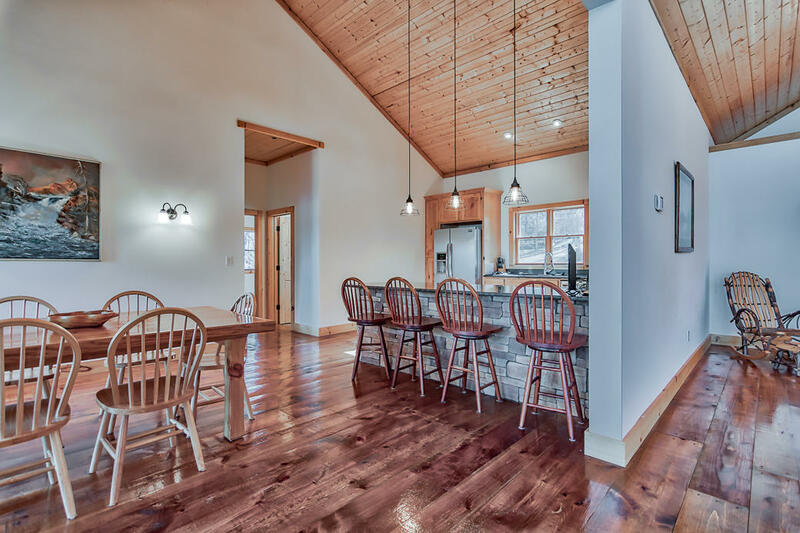 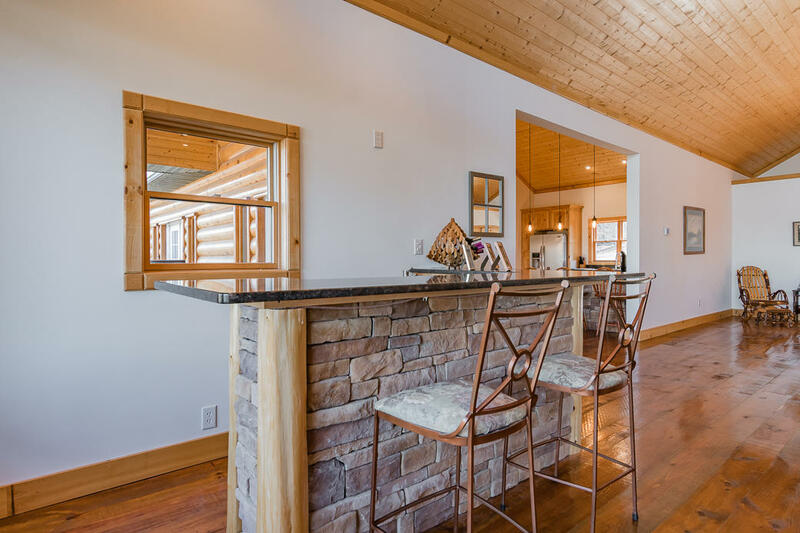 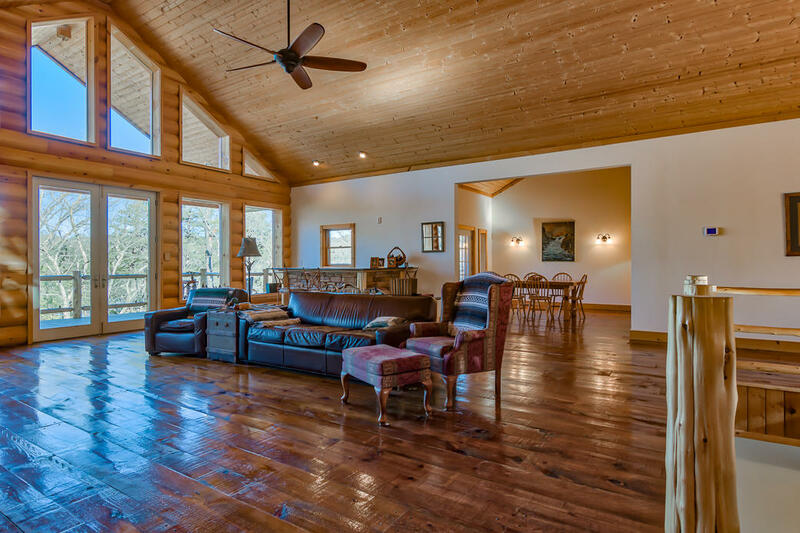 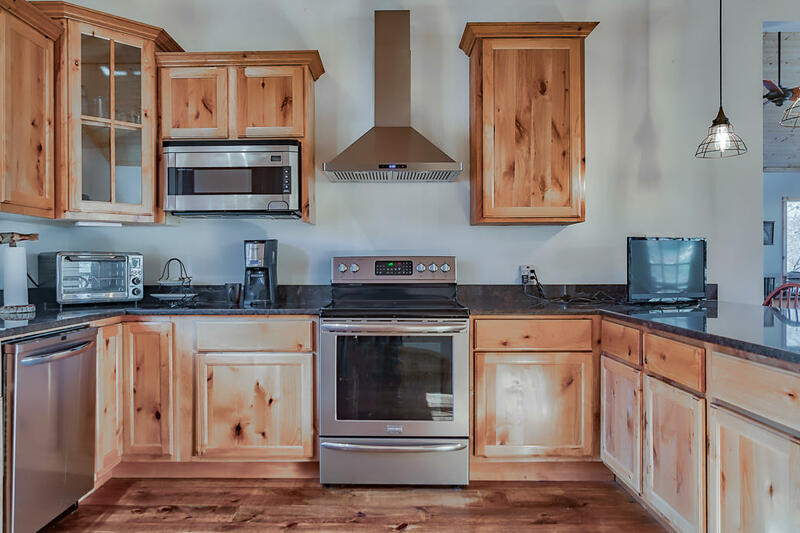 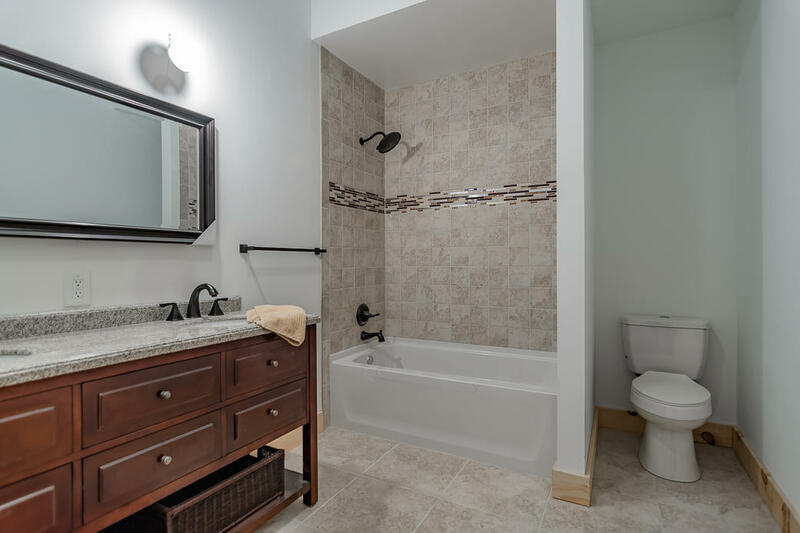 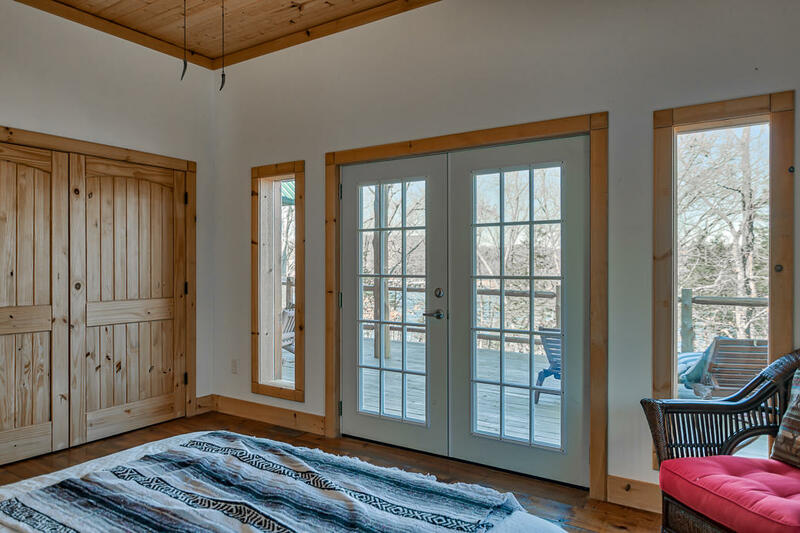 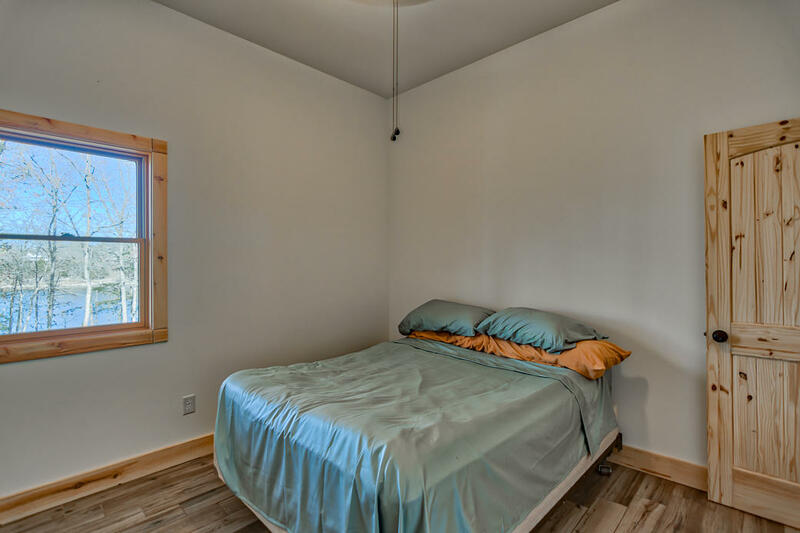 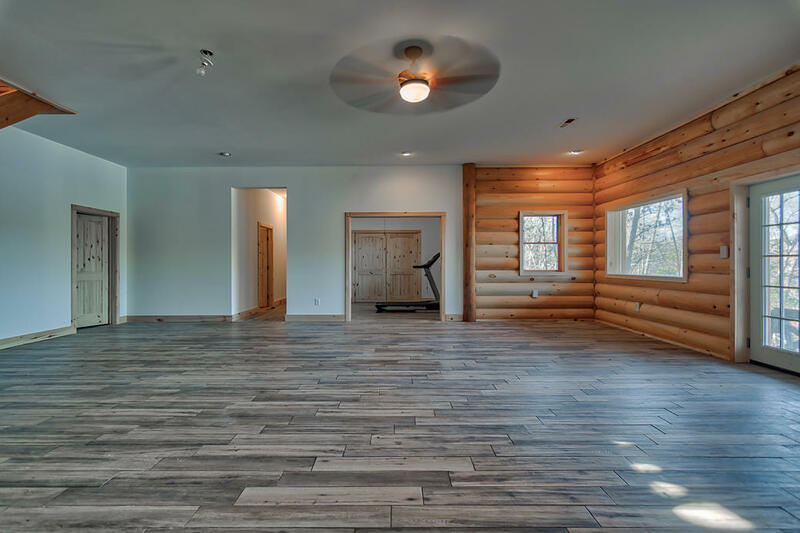 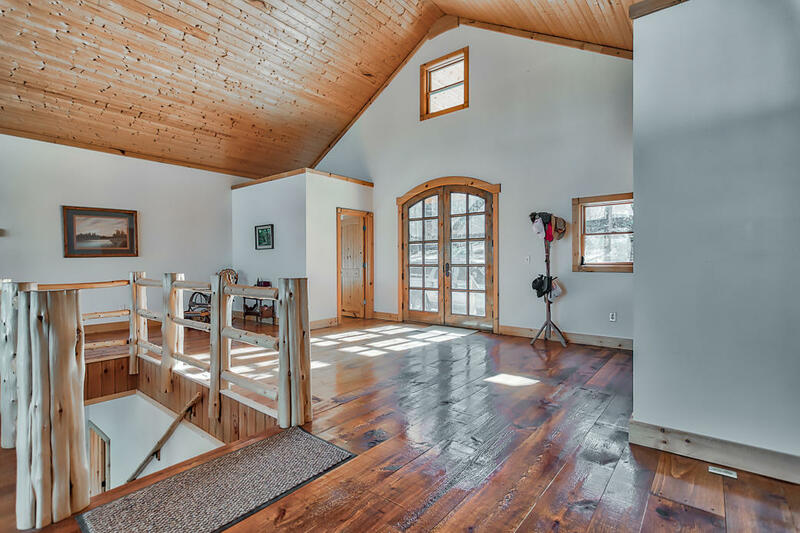 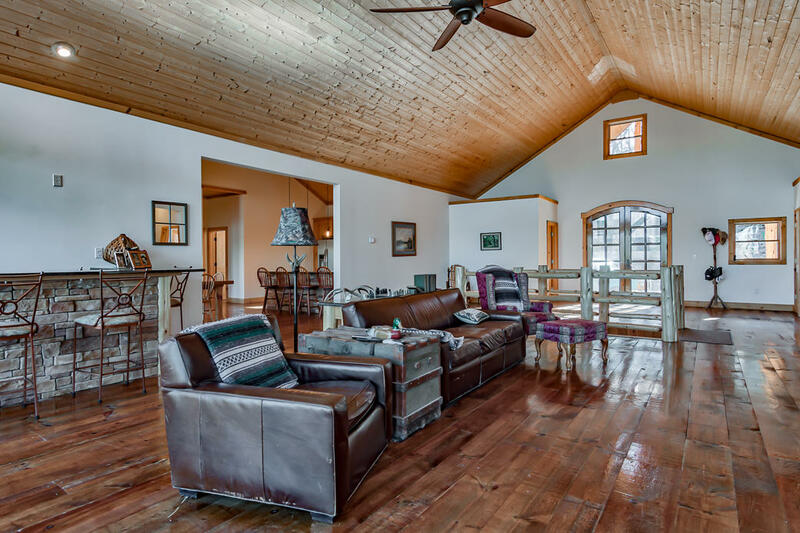 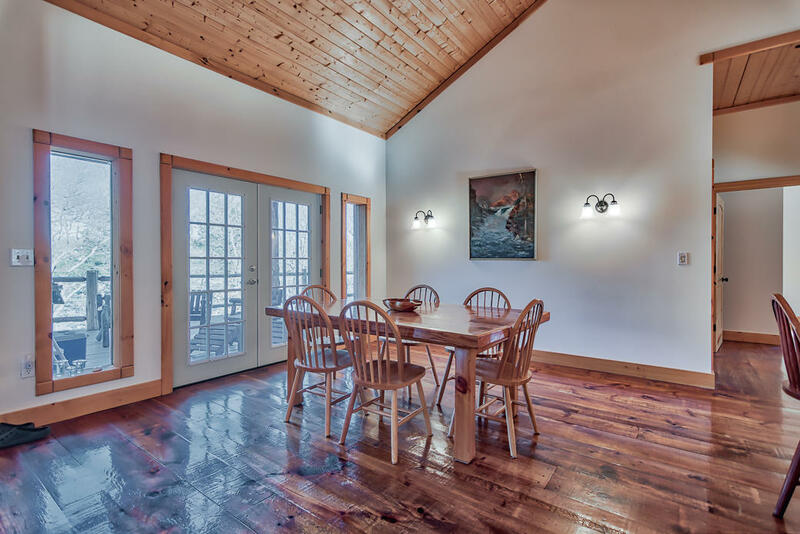 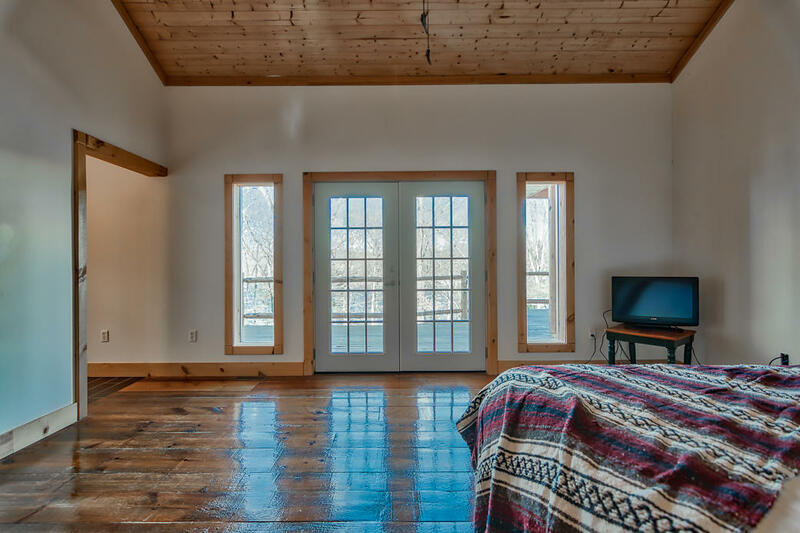 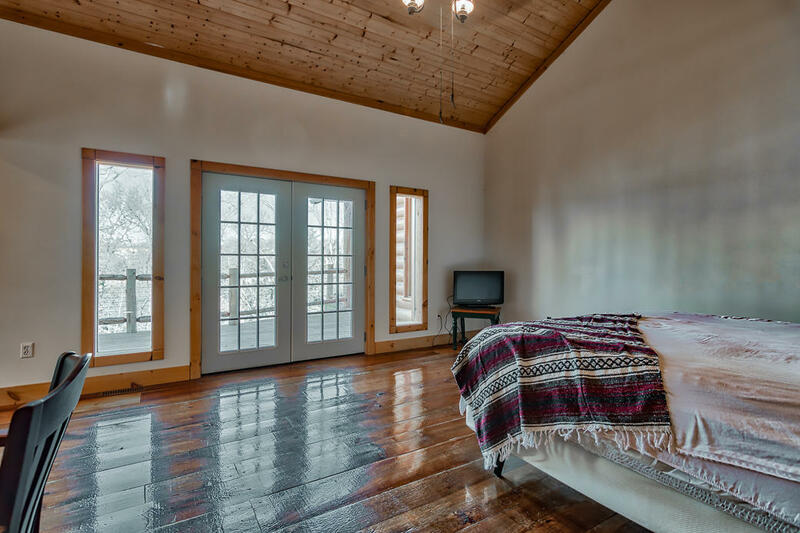 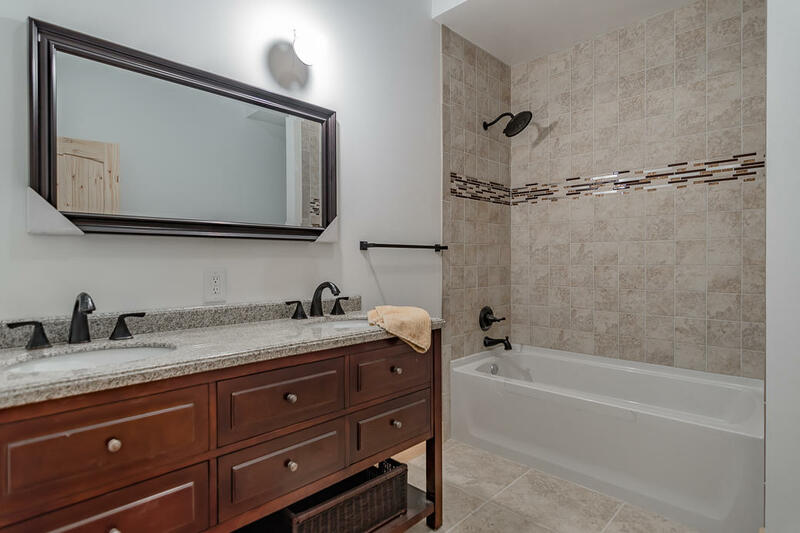 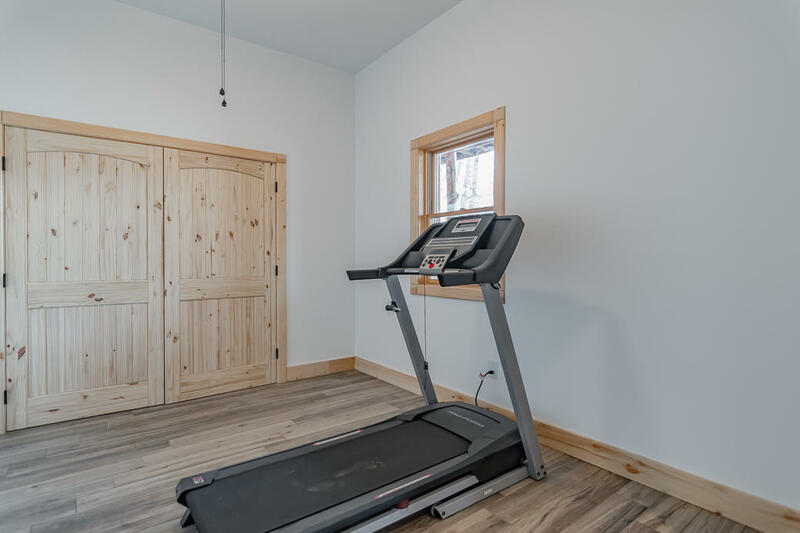 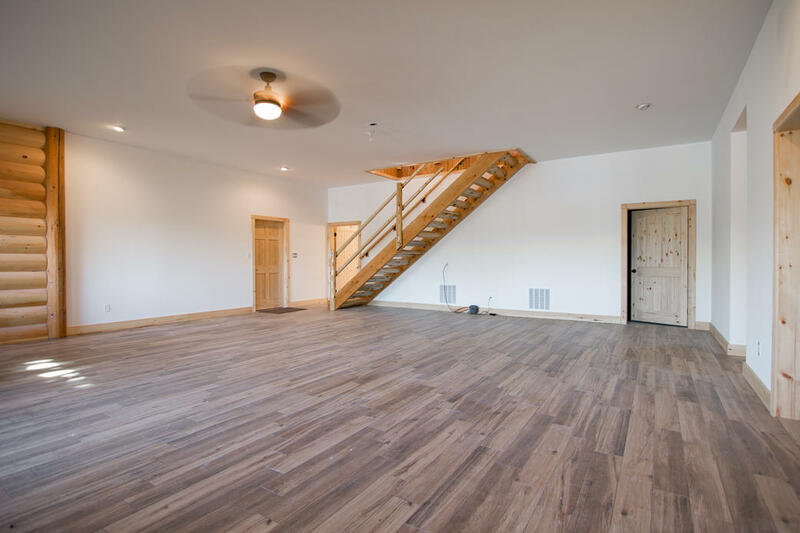 Huge entertaining spaces, 20' vaulted ceiling, floor to ceiling windows, hand hewn trim, knotty pine floors, generous bedroom sizes and a large partially covered deck. 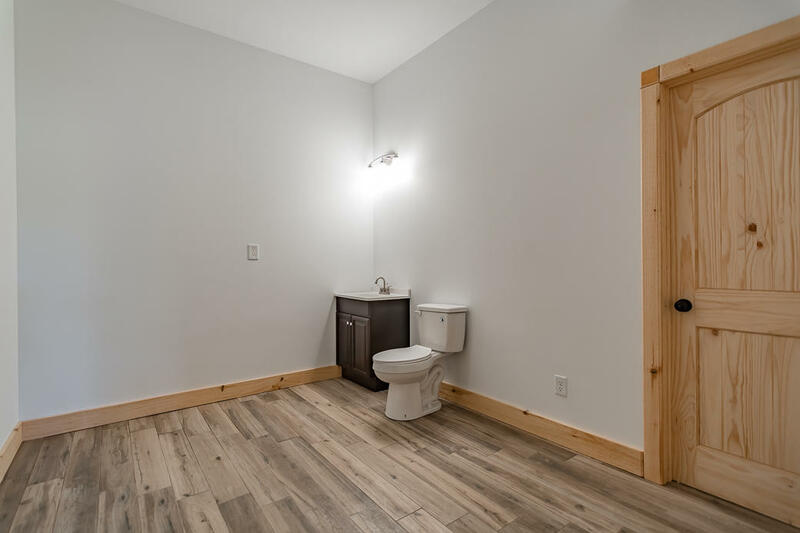 There's attention paid to every detail. 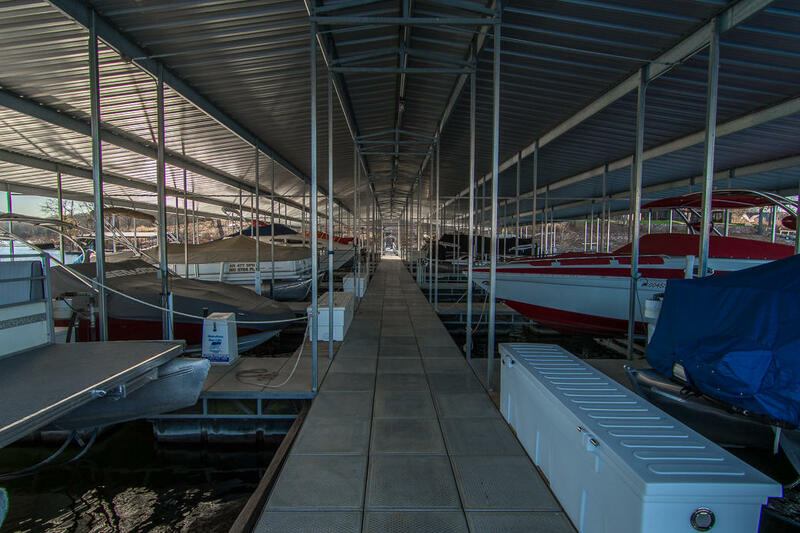 Short walk or cart ride to two boat slips available for extra $. 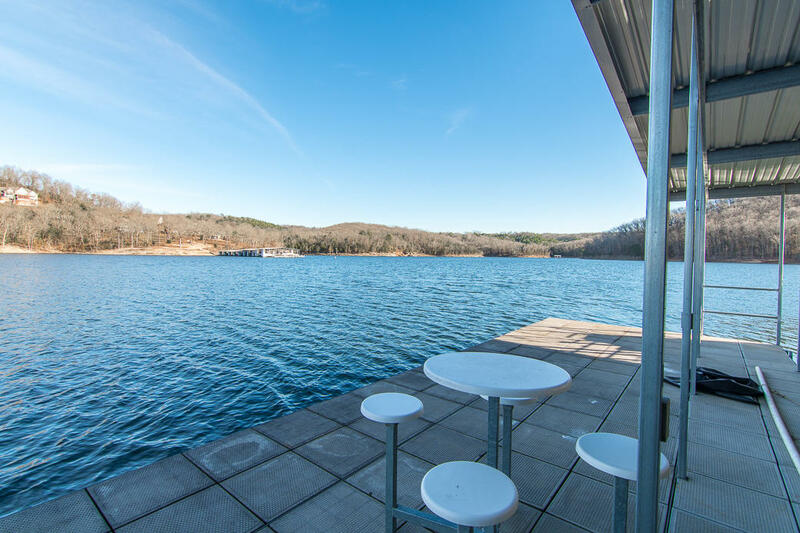 RV parking and hook ups on site. 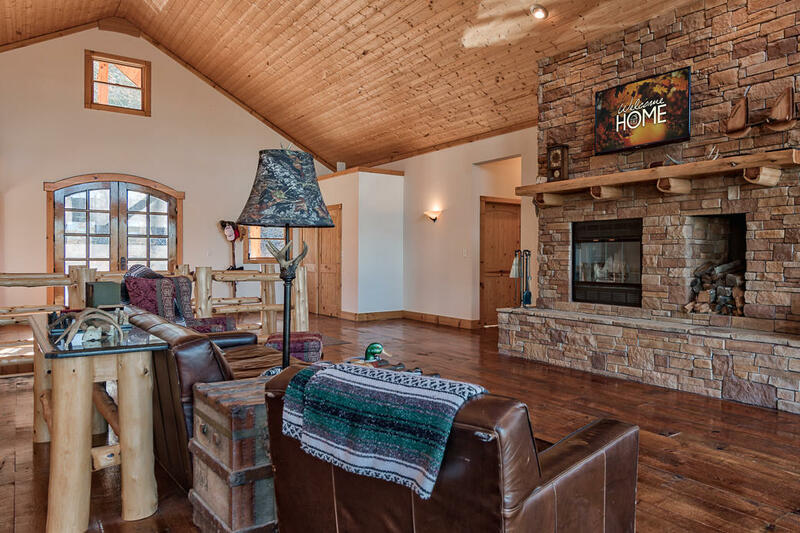 Put this home on your viewing list, you won't be disappointed.